BP’s Azerbaijan operations - "hotbed of innovation"
BP’s Azerbaijan operations as "a hotbed of innovation" in detecting and managing sand in well-streams, a worldwide problem that impacts the efficiency of the industry, BP's chief operating officer for production, transformation and carbon, Gordon Birrell, said in an interview with S&P Global Platts, Trend reports on Jan. 30. 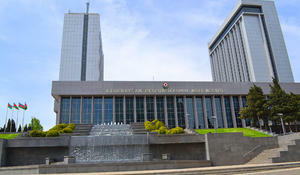 Today, BP and Azerbaijani Energy Ministry signed Memorandum of Understanding aimed at joint study of the potential opportunities for the development of renewable energy in Azerbaijan. 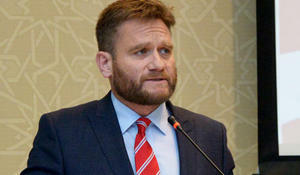 BP is interested in developing the renewable energy sector in Azerbaijan, BP Vice President for Commercial Affairs in the Azerbaijan, Georgia and Turkey Niall Henderson said on December 14. 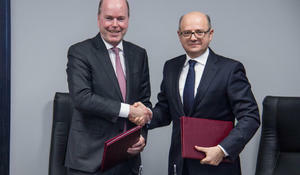 The long-term energy cooperation with BP has opened its track to alternative energy as well as oil and gas. 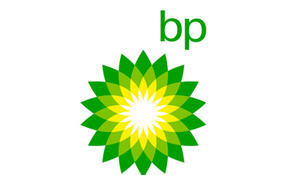 The work is underway to design an exploration well at the Shafag-Asiman block of fields, BP Azerbaijan told Trend. In the first half of 2018, BP jointly with partners allocated $2.3 million for social investment projects in Azerbaijan, BP Azerbaijan told Trend Aug. 29. 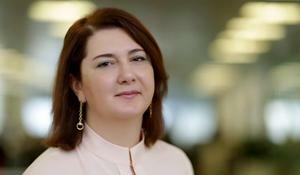 Narmina Nabiyeva has been appointed to the role of BP Vice President Human Resources for the Azerbaijan, Georgia and Turkey (AGT) region effective June 18, 2018, BP Azerbaijan has said.